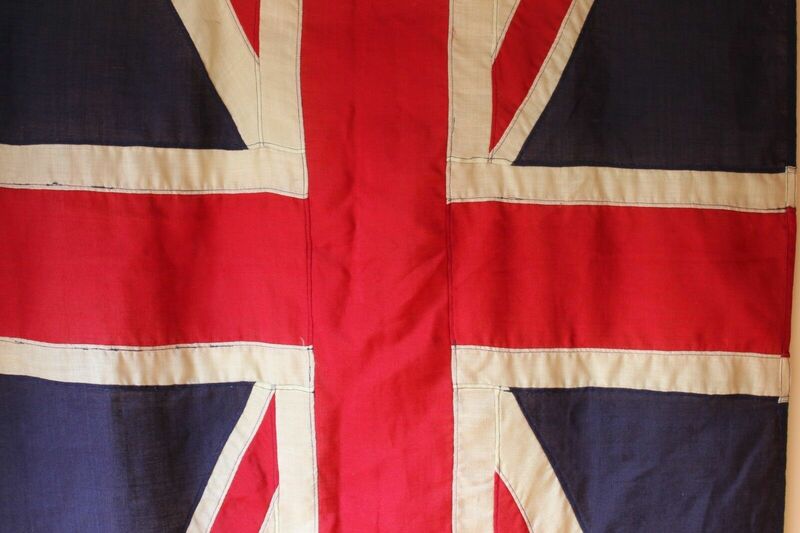 Original Vintage British Stitched Panel Union Jack Flag. Large 2 Yards.. 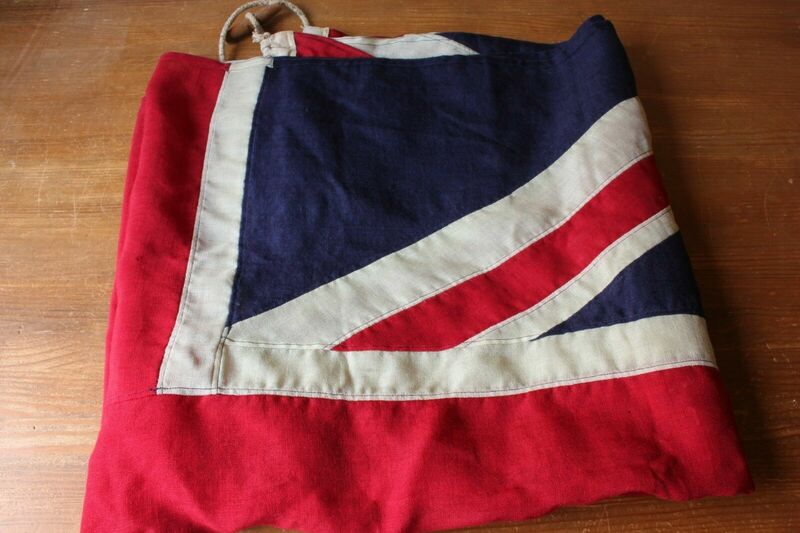 Original Vintage British Stitched Panel Union Jack Flag. 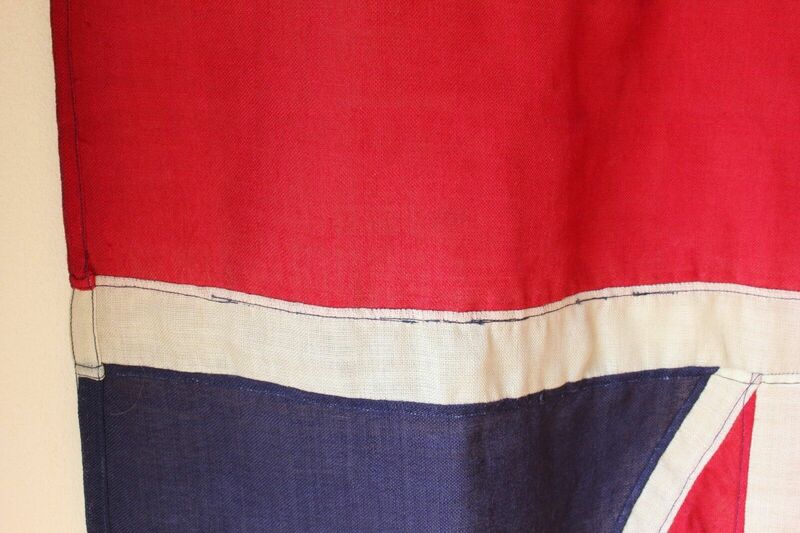 Large 2 Yards. 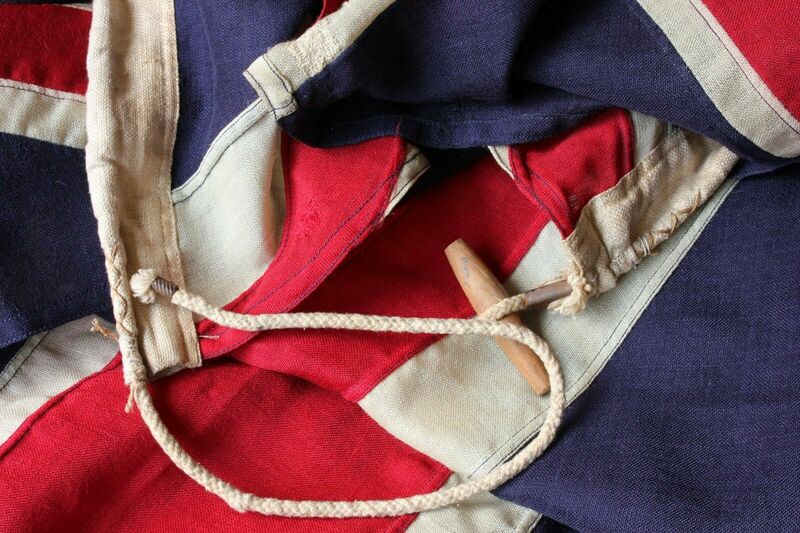 This large original period manufactured Union Jack Flag with each segment individually sewn has halyard rope. 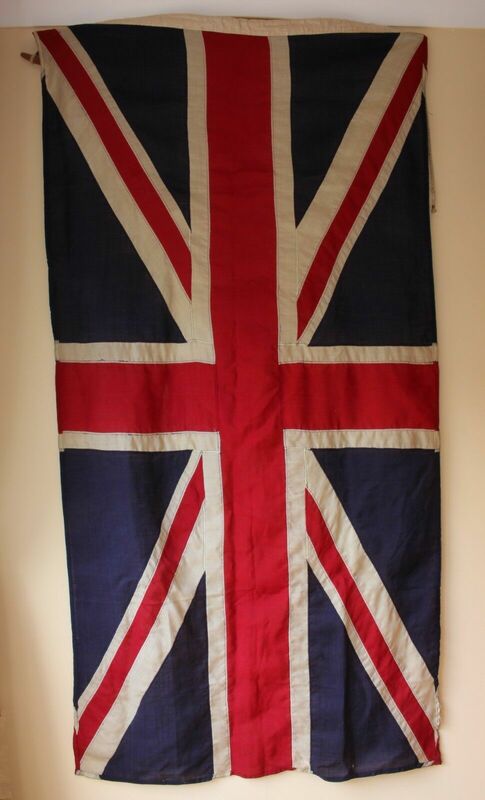 The flag which is a good size at 6 ft in length is a true vintage decorative piece that would look super cool hung in a man cave, bar or large room. 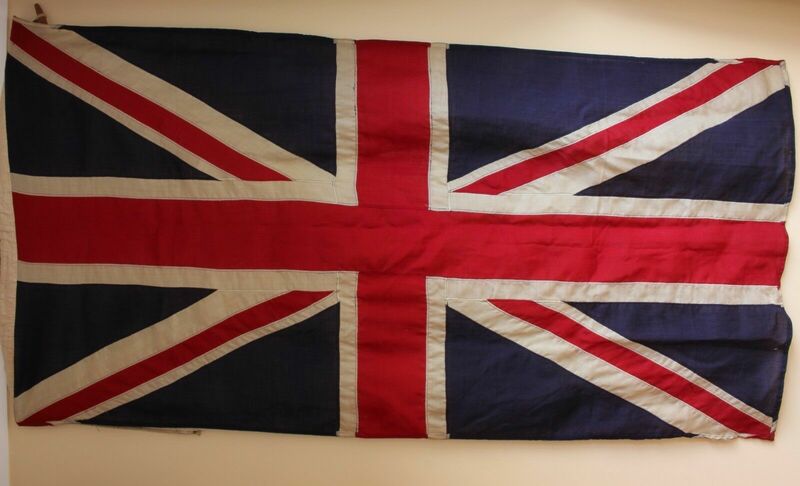 Size: 6 ft - 2 yards long. Length - 180 cm (72"). Width - 95 cm (37 1/2"). Condition: Original used vintage condition with a few small tears, old repairs, small holes, staining and marks as shown in the pictures. Please see pictures.